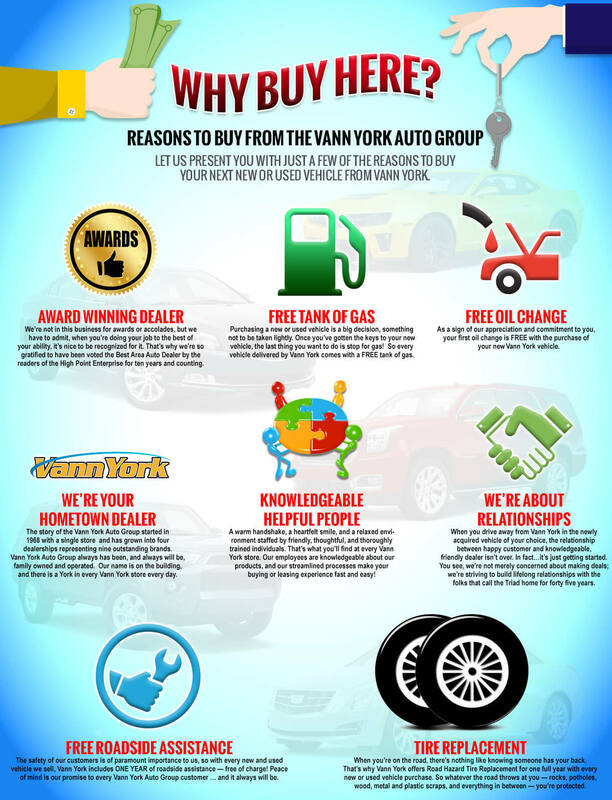 Why Shop at Vann York Honda? There are a ton of reasons to shop for a brand-new or used Honda at Vann York Honda. For starters, you will be hard pressed to find another dealership who puts as much attention to the customer as we do. We want to ensure that your experience at our dealership is better than good. That is why we offer our Vann York Guarantee, Bad or No Credit Financing, and fantastic deals on new and used Honda vehicles. We are a historic part of High Point, NC, dating back to 1968 when Vann York Sr. opened up shop. Since then, we have grown leaps and bounds because of that very same dedication to our customers. See the difference at Vann York Honda today. We have locations located in Kernersville, Greensboro, and Winston-Salem. Quality Honda products from your neighborhood Honda dealer at Vann York Honda in High Point, NC.